The Whylandra Waste and Recycling Centre operates 8am to 5pm weekdays and 9am to 5pm on weekends. It is open every day except Christmas Day. No entry will be permitted after 4.45pm. 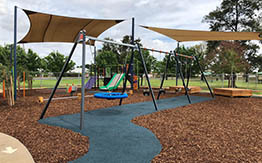 The Centre is located at Cooba Road, (just off Narromine Road), about 15 km west of Dubbo, on the southern side of the Mitchell Highway. The phone number for enquiries about the Whylandra Waste and Recycling Centre is 02 6801 4900. Domestic mixed recycling - paper/cardboard, steel, plastic, aluminium, glass containers (free). Any drums containing agricultural or animal health chemicals (contact ChemClear on 1800 008 182). Depositing waste materials onto private or public land where no licence or approval exists to accept such waste is considered illegal dumping and is a significant burden on Council and the community due to the associated clean up and disposal costs. Residents are requested to promptly report incidences of illegal dumping to Council's Customer Service Centre on 6801 4000. Individuals can be fined up to $250,000 for dumping rubbish illegally. In accordance with the (General) Amendment (Pollution Incident Response Management Plan) Regulation 2012, Council has prepared a Pollution Incident Management Plan (PDF 493.1KB) for the operations of the Whylandra Waste and Recycling Centre located on the Cooba Road, Dubbo. Council operates the Whylandra Waste and Recycling Centre under Environmental Protection Licence (EPL) number 6058. The Pollution Incident Response Management Plan contains details of processes Council has put in place to mitigate the likelihood of a pollution incident occurring together with details as to how a pollution incident will be managed, reported and communicated. Reduce the likelihood of a pollution incident occurring at the facility through identification of risks and the development of planned actions to minimize and manage those risks. Ensure comprehensive and timely communication about a pollution incident to staff at the premises, the Environment Protection Authority (EPA), other relevant authorities specified in the Act (such as NSW Ministry of Health, WorkCover NSW, and Fire and Rescue NSW) and people outside the facility who may be affected by the impacts of the pollution incident. Ensure that the Plan is properly implemented by trained staff, identifying persons responsible for implementing it, and ensuring that the plan is regularly tested for accuracy, currency and suitability. Provide guidance on how to respond to an environmental pollution incident and how to record such an event. Under the Protection of the Environment Operations Act 1997 it is a requirement that all pollution incidents, where material harm to the environment is caused or threatened, are reported to the EPA, NSW Health, Fire and Rescue NSW, WorkCover NSW and the local Council. *The Site Supervisor should call 000 if the incident presents an immediate threat to human health and/or property and a combat agency is required (i.e. NSW Fire and Rescue, NSW Ambulance Service, NSW Police Force) and then notify all other parties below including NSW Fire and Rescue via a local telephone number. ** If there is no immediate threat to human health and/or property i.e. a combat agency is not required, then the site supervisor is still required to follow that outlined above expect for dialing 000. Council will make preliminary contact will all owners and occupiers of properties adjoining the Whylandra Waste and Recycling Centre to establish the most suitable means of effecting communications with them in the event of a major pollution incident occurring. Should a major pollution incident occur, residents will be notified immediately and may be further contacted by an emergency service representative, such as in a case where evacuation or critical safety actions are considered necessary. Depending on the nature, scale and timing of the incident, Council will also place routine notices and updates on its website and provide information via the local media, including radio stations and television services. For more information about the Plan, contact Council's Senior Transport Asset Engineer, Matthew Lewis on (02) 6801 4000.